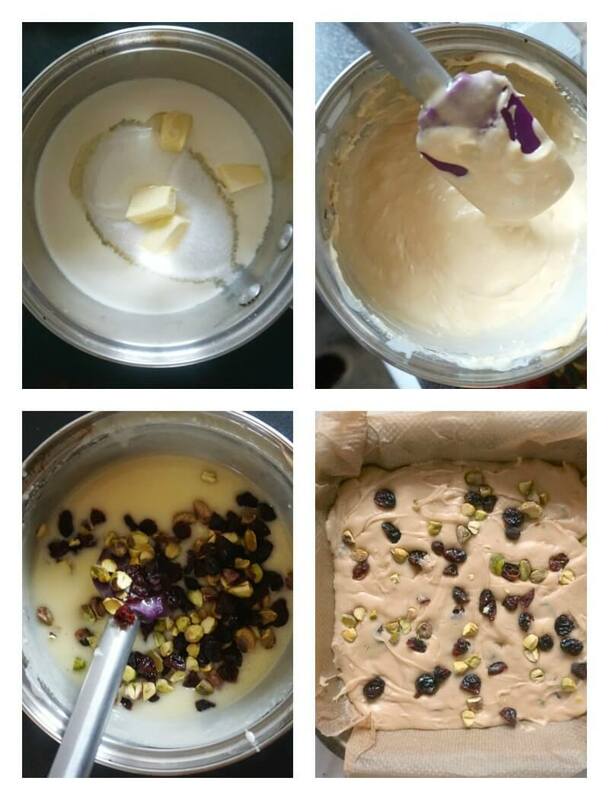 Orange White Chocolate Fudge with Cranberries and Pistachios, the flavours of Christmas in one overly indulgent dessert. It’s that time of the year when indulging is allowed. And if you are looking for a rich and decadent treat, you’ve come to the right place. 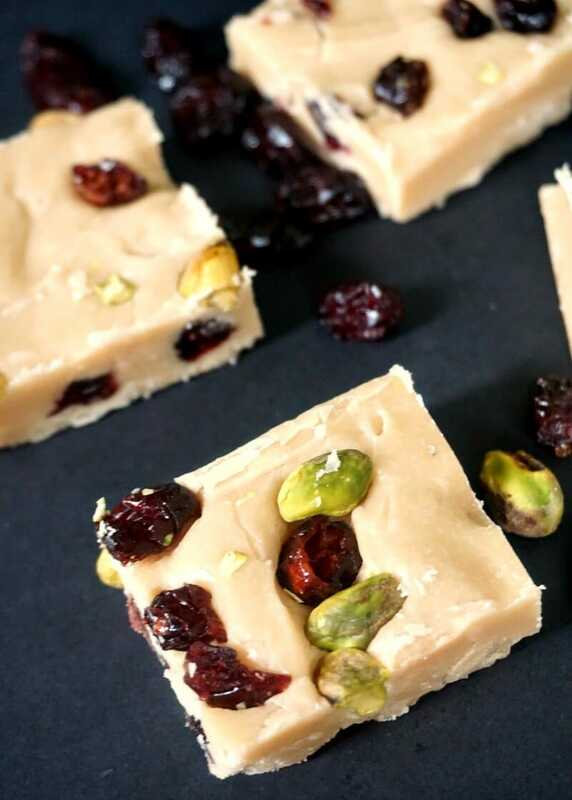 This white chocolate fudge is exactly that, sinfully sweet, too delicious to share. Although truth must be said, l can’t have more than one or two slices at the time, given the amount of sugar in it. I do like sweet treats, don’t get me wrong, but I do try hard to stay away from sweet temptation if I can. The recipe has been adapted from Marcello Tully’s White Chocolate and Cranberry Fudge, which can be found in this book The Key Ingredient. I must say, it’s the first time l make fudge, and given that I don’t have a candy thermometer, it was a real success. Right, so how to make the perfect fudge every single time with minimum effort? 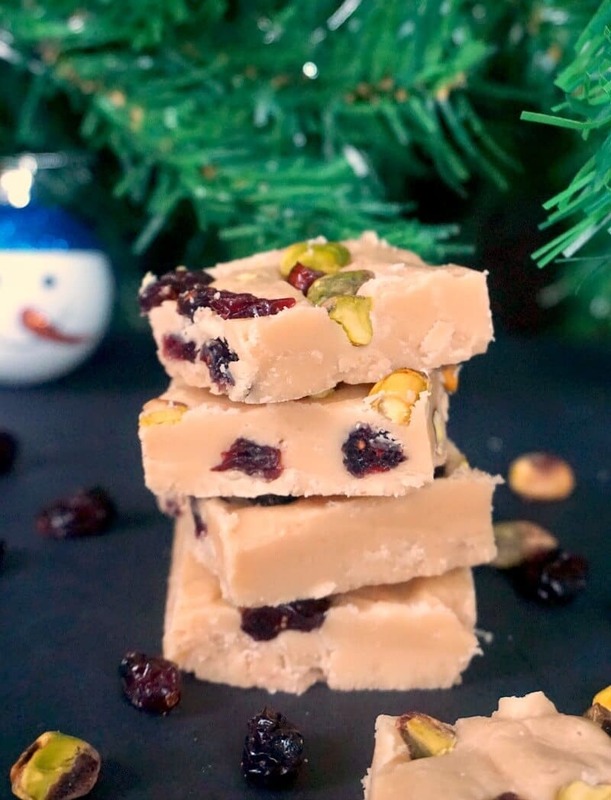 To make this fudge, we don’t need condensed milk, just double cream (or heavy cream), white chocolate, sugar, a tad of butter, glucose syrup, orange essence (or indeed any other flavour), dried cranberries, pistachios. 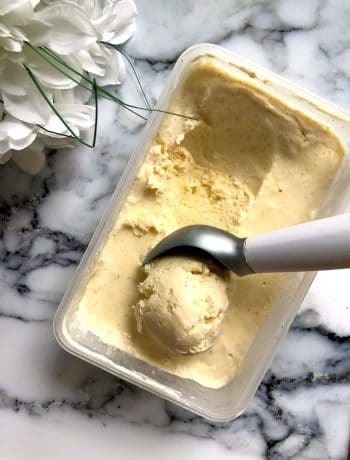 But if you are looking for a really easy fudge recipe, the sugar, double cream and glucose syrup are the essential ingredients to begin with, and then you can add anything else you like. And if you follow a few simple steps, you are guaranteed to make a fail-proof fudge every single time. It is crucial to cook the fudge until it reaches the right temperature and consistency, otherwise it will not set. You will know straight away, as it sets quickly once you take it off the heat, so you have to spread it fast. But how do you know it’s got the right consistency? First, you add the sugar, double cream and butter to a pan, and bring it to a boil over a low heat. Use a spatula to stir often, after it starts to bubble, cook it for other 10 maybe 15 minutes until you get to the soft ball stage, when the fudge starts to thicken. Take it off the heat, add the orange essence and white chocolate and mix well, the fudge will harden even more. 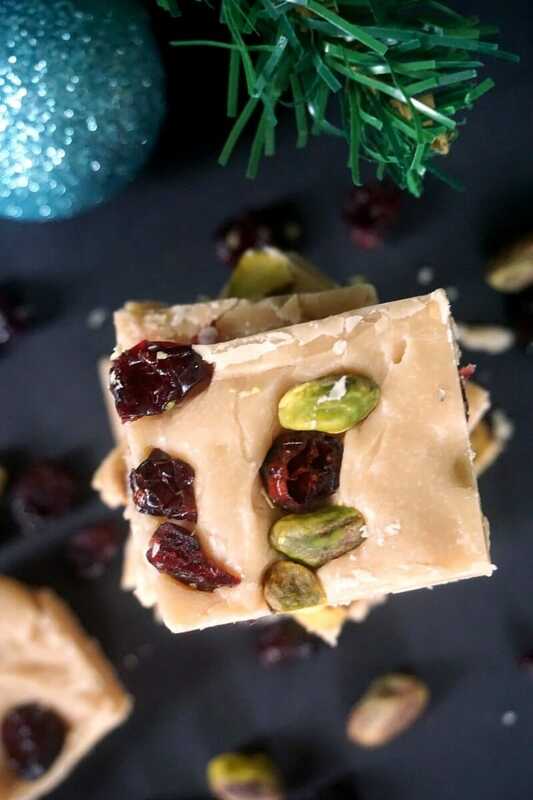 Add the dried cranberries and pistachios, and quickly spread the mixture over a dish that has been lined with non-stick perchament paper, then let it cool. And that’s it, you’ve got the best chocolate fudge recipe ever. The orange flavour is absolutely amazing, really christmassy, and really delicious. For more christmassy flavours, why not try my Cranberry Orange Shortbread Cookies? 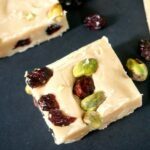 If you’ve tried my ORANGE WHITE CHOCOLATE FUDGE WITH DRIED CRANBERRIES AND PISTACHIOS or any other recipe on the blog then don’t forget to rate the recipe and let me know how you got on in the comments below, I love hearing from you! You can also FOLLOW ME on FACEBOOK, and PINTEREST to see more delicious food and what I’m getting up to. 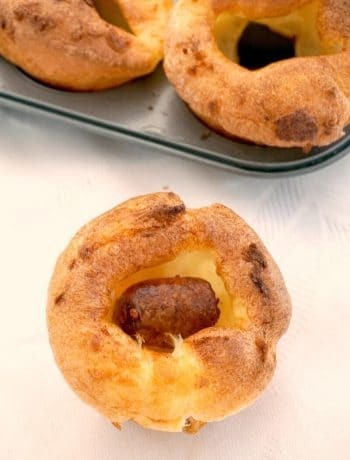 In a pan, add the double cream, sugar, glucose syrup and butter, and set over a low heat. Bring to a boil, then stir occasionally until it starts to thicken to the soft ball stage, this might take anything between 10 or 15 minutes. Remove from the heat, add the white chocolate, and stir well, the mixture will thicken further at this stage. Add the cranberries and pistachios, then quickly spread the mixture over a tray that had been lined with non-stick paper. 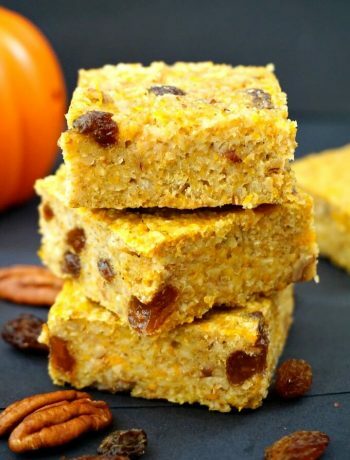 Leave to cool completely, then cut into squares.